The current status and possible perspectives for Israeli-German political relations took centerstage as Paul Ziemiak, General Secretary of the German Conservatives (CDU) and member of the Bundestag, hosted the chairman of ELNET Germany and senior ELNET advisors from Israel and the US at the headquarters of the CDU in Berlin. Together with Carsten Ovens, Founder and Chairman of the parliamentarian network “Friends of Israel within CDU/CSU”, the group outlined chances and challenges for a sustainable development of bonds between the two countries in the near future. 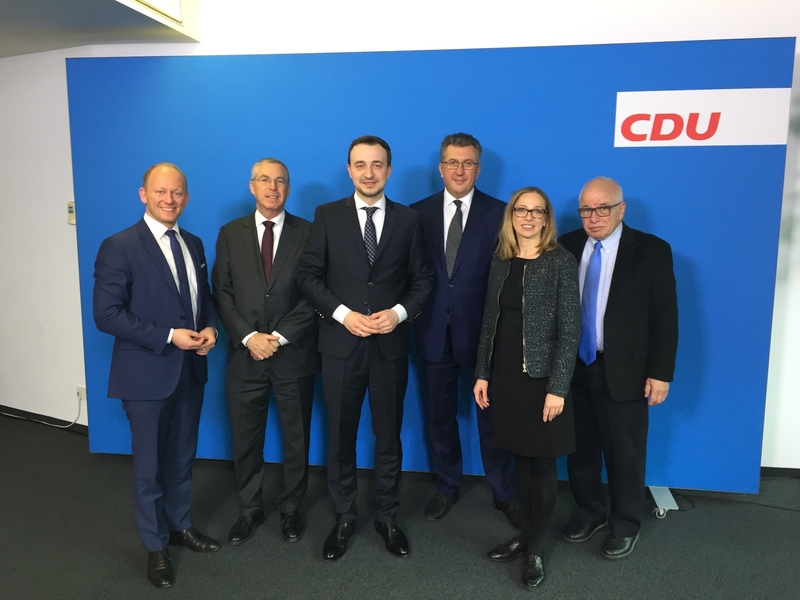 Before meeting Paul Ziemiak, the ELNET leadership sat down with Gitta Connemann, member of the Bundestag, as well as Vice-chairwoman of the CDU/CSU parliamentary group and Vice-chairwoman of the German-Israeli Parliamentary Group. After introducing the work of the German-Israeli Parliamentary Group, the discussion focused on strategies towards strengthening contacts and deepening the dialogue between German and Israeli MPs. Clearly ELNET could play a vital role in further fostering a steady exchange between Germany and Israel on the parliamentary level and beyond.